Tails- look bored near his tornado. It's a screencap. Wallpaper and background images in the Miles "Tails" Prower club. 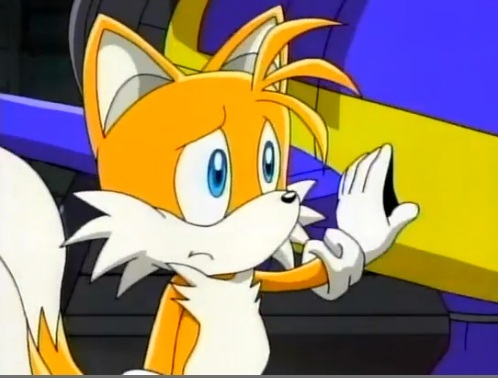 i like it its a gooD shot of tails in "Sonic X"